As of 2018 there was a report that there is 525,000 podcast that are active. Each one has their own style and delivery. Some podcasts are simple in nature while others sound a little more produced to make themselves stand out. And standing out is one of the biggest things that podcasters want to do when they compare themselves to other podcast. First of all, I will tell you this: you shouldn't compare yourself to other podcasts. When you podcast, you're creating a program based on something that you want to see in the world. Focusing on other people's podcasts and comparing theirs does you the disservice of succeeding at your own podcast. Focus on your own podcast first. Let's focus on how we can make our podcast stand out from the rest. I don't think it's bad to say that you can observe what other podcasters are doing, so let me try to explain to you how you can set yourself apart from other podcasters. In other words, let me talk about your podcast brand. This will be the key to becoming a successful podcaster with a quality podcast program. I believe I have a reputation of being very intense when it comes to creating programs that sound unique. Where some podcasters just want to press record and start talking, I truly do believe that a podcast needs to have a brand sound. My definition of a brand sound is based in the concept of “sound design for radio”. By the traditional sense, sound design can refer to the sound that you hear in movies and television programs. They're the little nuances that you hear inside of the program that give the viewer a unique listening experience. But when it comes to podcasting or radio, think of sound design like a Photoshopped business card, but for audio. It’s a piece of unique audio that is for your ears. If you've ever seen a really incredible logo that was created inside a Photoshop, think of the sound that your brand would have if you created it inside of an Digital Audio Workstation (DAW). Believe it or not, there are people who make a living based off creating specific sound designs for different brands. It definitely takes a unique talent to create these specific sound brands, but it's very possible to do if you know the tricks of the trade. If you have ever listen to a radio station and heard the little pieces of sound in between songs, those are called sweepers or drops. They are professionally sound designed by someone who knows how these pieces work for radio. I do realize the amateur podcaster is not going to be able to sound design their own program. So if you go into Google and you look up “sound design for podcasts,” you may come up with a number of different listings of individuals who can create a sound just for your program. Some searches may be defined as “bumpers” too, so don’t forget to include that in your search query. But don't think that these sweepers are going to make your brand stand out. They definitely do help, but I do believe the secret is in the style of your delivery. Some podcast have a very simple style where they are delivering content that is wildly useful to use and put into action right away. Other podcasters rely on humor to align themselves with their own personal style to create a brand. So let me dive into a couple of different ways you can stand out. I know this seems self-explanatory but you wouldn't believe how many podcasts I have listened to that don't create a quality listening experience. In other words, the host of the podcast doesn't consider the listener’s time. Instead, they just banter on without giving any reason to listen to the podcast. Providing a quality listening experience requires a direction for your program. This is very similar to how you would write an essay or any type of letter. Your podcast needs to have a beginning, middle and end. You can also provide a quality listening experience by creating segments within your podcast. Years ago I had a comedy podcast where we recorded for an hour, but had different segments within the hour. Each of these segments were intended to be entertaining for the listener. Additionally, each of the segments had a different style of content that kept the listener engaged overtime. In today's world, great podcasts are segmented out with games, information, reports and more. Remember, segments are not required in your podcast, but they do set you apart from the rest--especially if you get creative. Do you need an example of a great podcast that is segmented? I recommend that you listen to The Marketplace podcast with Kai Ryssdal. It's chock-full of segments, so listen carefully. How creative do you think you can get when it comes to developing segments for your podcast? Your podcast may be designed to sound as though it is dominant within its own category or niche, but one of the real secrets to standing out from other brands is allowing listeners to reach out to you at any moment. In your podcasts you should be giving specific calls to action to have listeners tweet at you, send you an e-mail, post under your Facebook page and so forth. I have to say, in all my years on the radio, this is the best way to brand yourself from the rest. Back in the early days of Twitter, I took it upon myself to start tweeting to prove that I wasn't pre-recorded on the radio. In fact, I made it a point to communicate with the listeners by using this brand new medium. When I started using it, people were absolutely astonished that I was reaching out to them. And this is something that continues to this day. If you check my Facebook page, you can see there are people commenting on every post that I make--this is all due to the fact that I try to stay as relevant as possible to the process of listener communication. But, you could also say that the engagement on my page is compounded by using Facebook live--a quality medium if you have a solid following. But the bottom line is that I make it a point to allow the listeners to reach out to me whether I'm on the radio or on social media. I also make it a point to get back to their emails as soon as I can. Not all of the time am I able to get back to those people, but I do make it a point to reach out to them and send a worthwhile message. Let's take this a step further. When someone comments on your Facebook post, make it a point to ask your fan a question so that you can keep the conversation rolling. Engaging on a Facebook post tells the algorithm that the post should be moved into other people's news feed. In fact, Facebook has told the public that when you create conversation around a particular post that is engaging, they will definitely show it to more people. There's nothing better than getting organic traffic to a post that you didn't have to spend money on. Engaging with people on post, tweets, Instagram comments helps you build a relationship with those potential fan. So if you're pushing people from your podcast over to your social media platforms, make sure that you're doing everything that you can to communicate with them by posting quality content. Do everything that you can to bring that person into your universe so that they can know, like and trust you. If you don't know what a position statement is, I recommend that you do a Google search on it. Basically, it is a means to communicate what your brand stands for and how it serves the potential consumer. Position statements can be simple or they can be more involved. When I say more involved, I'm not talking about complicated, just “involved”. This blog post gives a great example of what position statements look like. Use your position statement within your sound design brand. It will make all the difference in the world when you ask the sound designer to make it sound unique. Let's take parts of what I had said about engaging with your listener and add in the element of transparency. The more transparent you are with your audience within your podcast, the more likely they should return back to your program. There's nothing more powerful in a podcast then and honest podcaster. If you don't know the answer to something, it's better to say, “ I don't know,” than give an answer that is inaccurate. Transparency makes all the difference in the world and it allows people to trust you a lot more overtime. Transparency can come in the form of not knowing the answer, sharing personal photos through social media, highlighting your own struggles, and more. Transparency can be a game-changer for you and your brand when you are delivering your podcast. I'm not saying to overdo it with transparency, but just be honest. Just be you. It's that simple. We thrive off experiences. Well, at least I know I do. I can tell you the exact moment where I was when I saw Metallica play an arena in Phoenix Arizona. I could also tell you what happened during that concert because of the experience in that concert. By the end of the concert, people had fallen off of rafters, the stage started falling apart and at one point a man ran out onto stage on fire. All of this was planned by the show producers themselves and it tricked the audience into thinking it was a real-life accident that had just gone down. For that time period, it was shocking to see such a thing happen at a live show. It was also one of the most memorable experiences of my concert life too. I'm not saying that your podcast has to be shocking every single time. You especially don’t have to set anyone on fire by giving the listener an experience, but giving your listener an auditory experience leaves an impression. Podcasters can give experiences by color commentating on the stories that help the listener become better. Some stories will inspire while others will make a listener upset or sad. Either way, you want to give the listener some type of experience that they can take with them so they can share it with their family and friends. Just like my old podcast and stated, “ Be The Experience” for those who are looking for something unique to liven up their day. We live off memories and experiences because they’re unique only to us. Do this for your podcast listener. I'd be interested in learning some of the tactics you use to stand out with your podcast. Leave a comment down below and I promise to get back to you as soon as possible. Whether you're feeling inspired to make a podcast like mine or you're just trying to figure out where to start, my FREE PDF GUIDE will show you where to get started in under 15 minutes. Get My Weekly Podcasting Tips! Learn the tips and tricks that will help you build a successful podcast! Aspiring to start your own podcast but don't know what is involved? Don't worry! 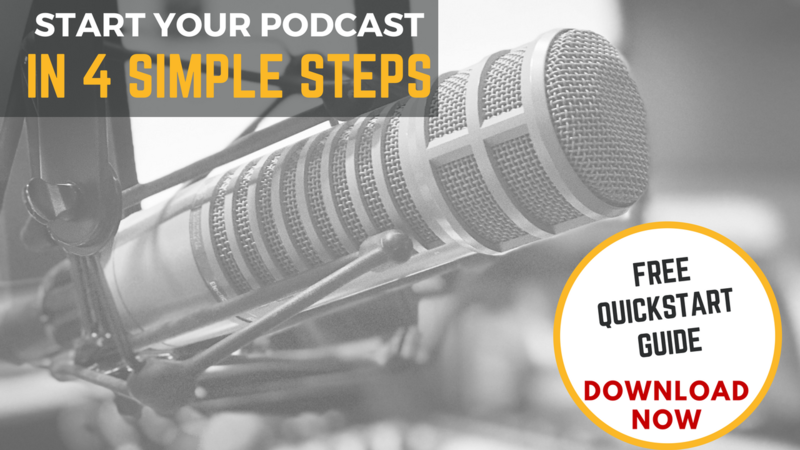 I've done the work for you in my Quickstart Guide To Starting A Podcast. Grab the PDF today! Don't make the process of starting a podcast difficult on yourself. This fillable PDF will save you the time and research. It's completely plug-and-play when it comes to preparing to launch and serves as a great accountability tool! 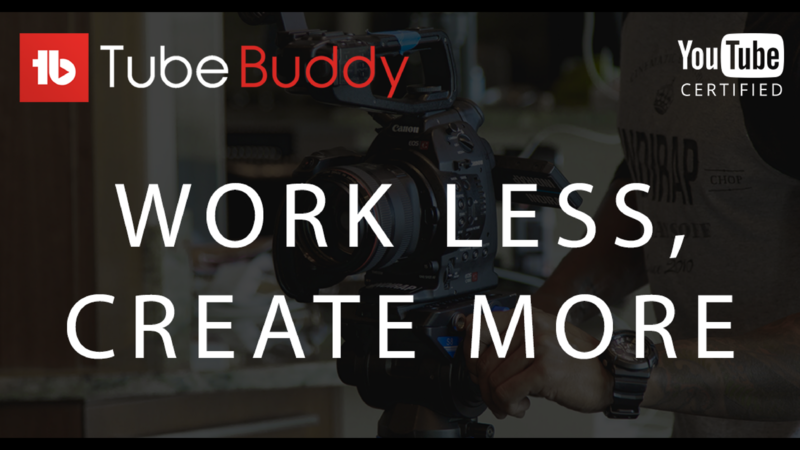 Creating YouTube videos takes a lot of time if you really want to get the right views and traction. Shannon uses TubeBuddy to shave the content creation by at least 80%. How Do Podcasters Deal With Negative Feedback? This website is participant in Adobe Affiliate Services, Amazon Services LLC Associates Program and various independent affiliate products. 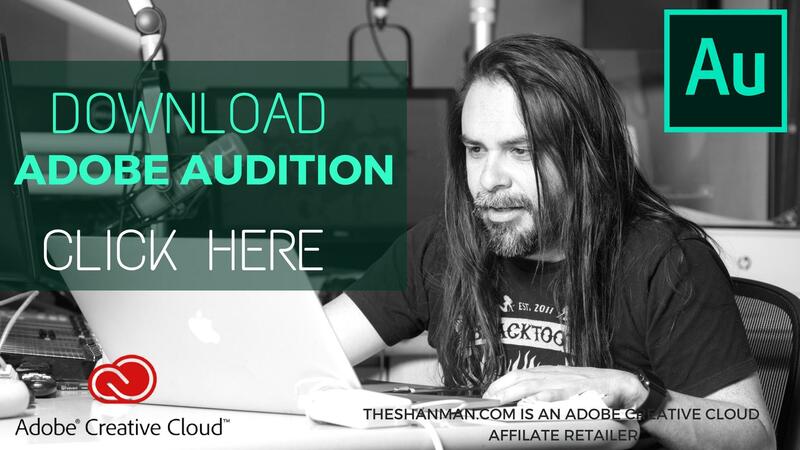 Each service is an affiliate advertising program designed to provide a means for Shannon Hernandez to earn fees by linking to Amazon.com and affiliated sites. Everything in the, 6 Clever Ways To Monetize a Podcast, instantly puts your podcast in a position to monetize immediately. 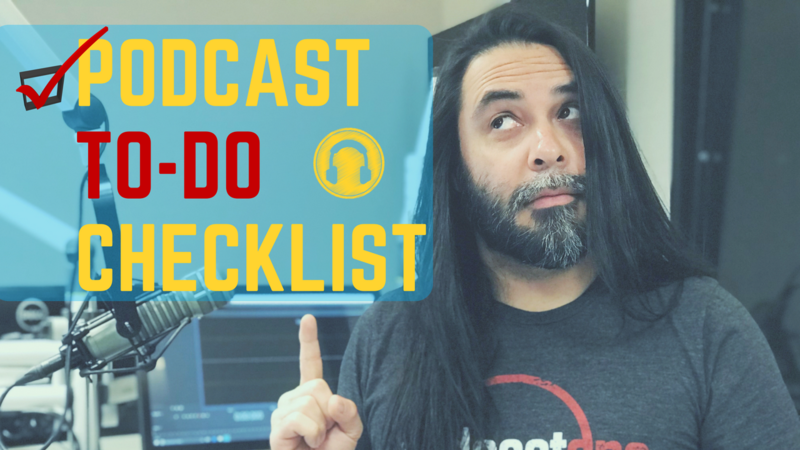 Implement these radio broadcasting and podcasting secrets into your podcast platform while enjoying the art of podcasting! Use checkout code MONETIZE17 for 17% off! Shannon will share his 18 years of radio broadcasting knowledge and show you how strategies in radio relate directly to podcast creation and strategy! I consent to recieve emails about your products and special offers.